Hi Creator, congrats nice model! I downloaded it, and spent ages trying to get it to work, but have so far failed. 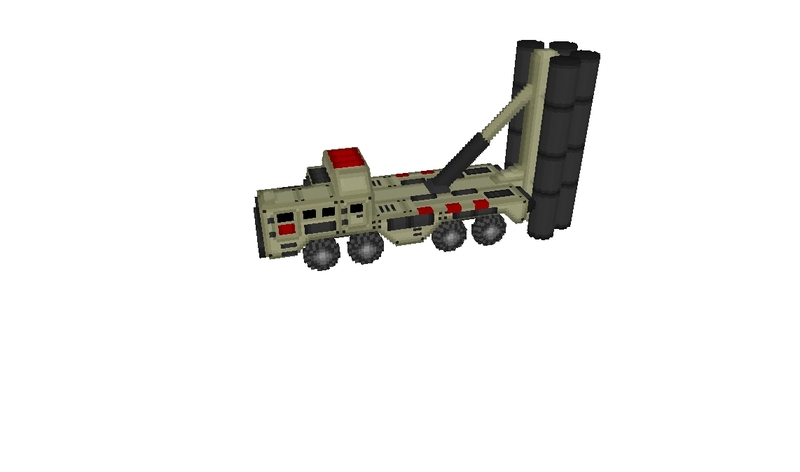 I made it as a buildable vehicle in my vehicle list in rulesmd, added it in the artmd,, gave it a suitable weapon, but every time I build it, it's INVISIBLE! I don't know what I'm doing wrong, can you advise how you get it to work properly? 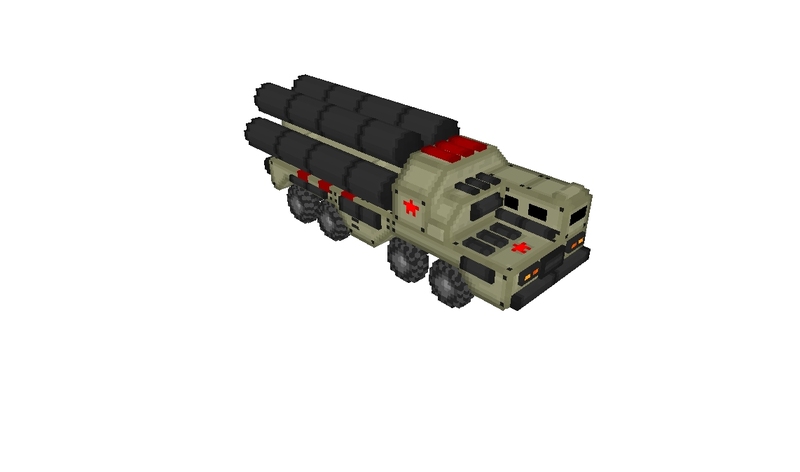 I noticed there are 2 voxels and 2 hva's (one for in firing position obviously), I copied all 4 files, I wasn't sure what to do with them; so I made 2 separate units (s300 and s300d), though I made 's300d' non-buildable. I hadn't had a chance to investigate it's visual functionality due to the unit being thus far invisible for me. Can you show me the unit INI codes? Such a wonderful unit !! Which tool did you use ? 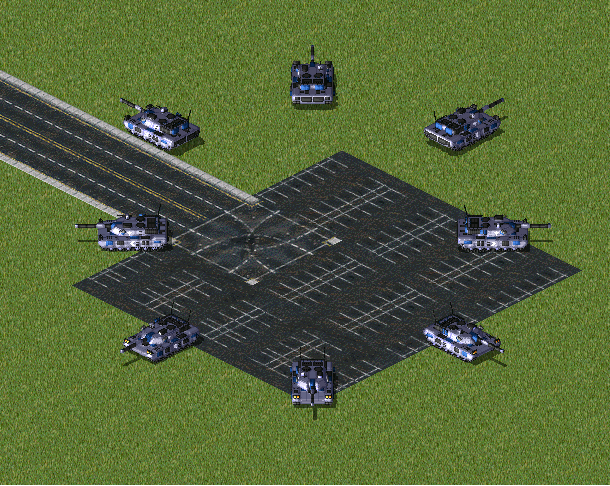 Also do you make a M1 Abrams voxel by the way? Which tool did you use ? The Abrams is a bit flat, add some meat into it. 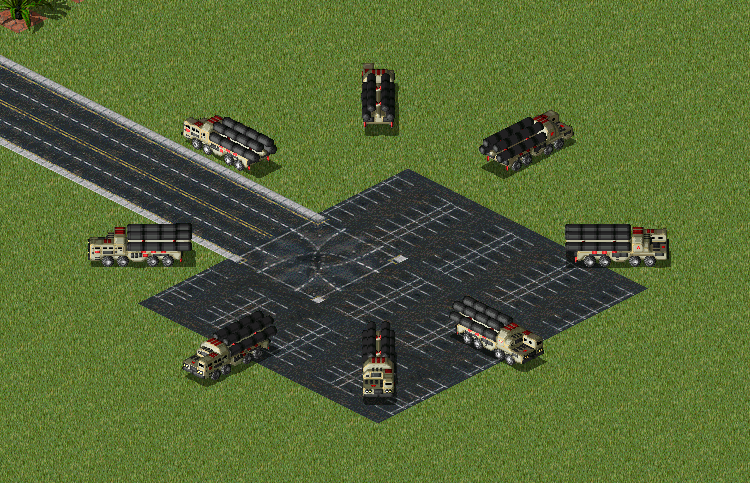 I've made a simple deploy animation for it, but to use it you'll have to use a shp for the deployed version or to adjust the voxel of the deployed version yourself, because they don't match perfectly. Still, better than no animation at all I guess. You can't use deploy animations with non-aerial IsSimpleDeployer units anyway cause it will allow you to deploy the unit at any arbitrary facing which is not always same as the one in the animation. 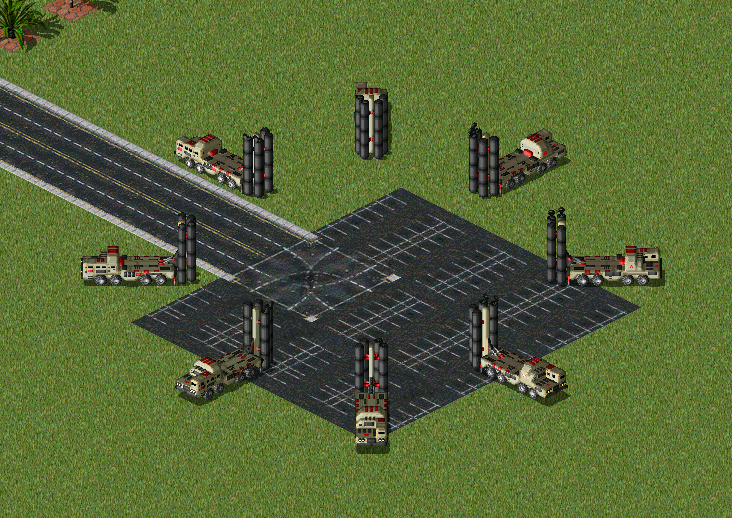 This has probably been adressed in some game logic extensions but not in standard Ares, and even then it might not play nice with slopes. Well it's supposed to be a buildup anim, you deploy unit into a structure basically. And they self-destruct and the Grumble comes back to the stationary version. 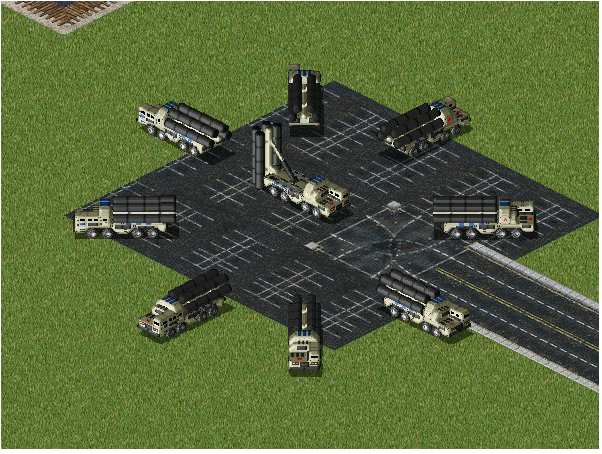 In this way you can fire in all facing, you just have to sepaate the tubes from thetruck.